ASUS likes to create insanely powerful and expensive gaming notebooks and then boast with them and this year will be no different. After the company unveiled the GX700 gaming notebook last year, now we will get its successor called GX800. Just like before the GX800 will belong to the company’s Republic Of Gamers line and will sport some really interesting hardware. Like we said the GX800 will build on last year’s GX700 and this is the reason why the new notebook will feature some hardware updates. The GX800 will have the same detachable liquid cooling unit in the back but this time it will come with two NVIDIA video cards combined in SLI mode as well as an overclockable Intel K-series processor plus two 330W power supply units that will drive all this hardware and more. Furthermore the ROG GX800 will have the latest ASUS mechanical keyboard with multicolor LEDs that can be customized and more hardware features that are yet unclear. Next to the ROG GX800 ASUS will present the so-called G31 Edition 10 desktop gaming computer, which the Taiwanese company claims is the fastest in the world. The computer will come with one-click overclocking, two GeForce GTX 1080 video cards in 2-way SLI for 4K gaming as well as a dedicated ESS audio DAC and amplifier headphone jack for improved and richer audio but this is everything that is known on the G31 Edition 10 computer at the moment. 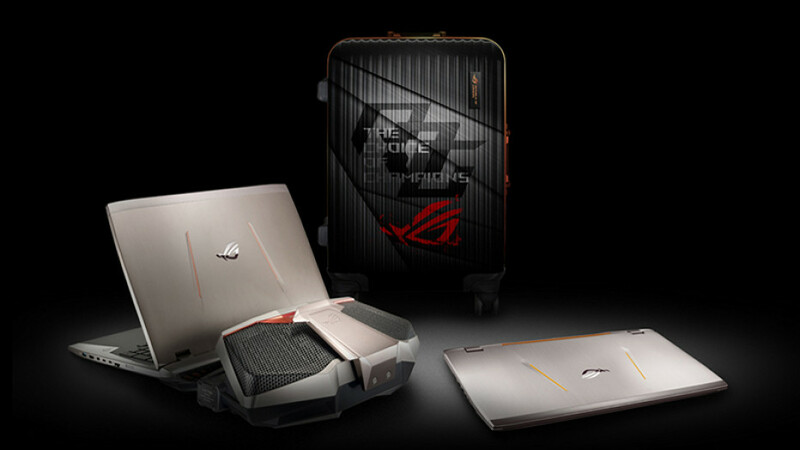 The new ASUS ROG GX800 gaming notebook and the G31 Edition 10 desktop PC will probably be unveiled later this week at Computex 2016 but this remains to be seen.